Some vacuums use a traditional round belt. This belt has an approximate lifetime of 40 hours. Then it will tend to lose its memory and will not stay tight enough to turn the roller brush continually. As the roller brush heats up it will have a tendency to stop turning, therefore reducing its ability to agitate the carpet and help remove the dirt and grit that is embedded in the carpet. This action can also develop the smell of burning rubber. Many owners will mistakenly diagnose this problem as a defective vacuum when in fact, replacing the belt would be a quick and cost effective fix. In addition, the belt has the important function of acting as a “circuit breaker” for the motor. The belt protects the motor from overheating and causing internal failure. For instance, if the vacuum picks up a large household object such as a sock, this causes the roller brush to stop which in turn will stop the motor from turning. The belt will heat up and break apart, freeing up the motor and eliminating heat damage to its internal parts, which could cause the motor to fail. Proper belt installation is very important on vacuums equipped with a round belt. Since a figure 8 is required to connect the belt from the roller brush to the motor pulley, installing the belt the wrong way will make the roller brush turn the wrong way. The best way to determine if the belt is installed properly is to follow the instructions under the belt cover or you can tell immediately when you start to vacuum. The vacuum will be hard to push forward and will eject dirt from under the front of the vacuum. When the belt is installed properly the roller brush will turn in the same direction as the wheels turn when you push the vacuum forward. Vacuum often! You can't vacuum too often. Use a vacuum with a beater bar or rotating brush loosens the dirt for the vacuum to remove it. Vacuums with top-loading bags are preferred over bottom-loading bags. Change the disposable bag or empty the vacuum often. Carpet with thick loop pile construction (berber) may be sensitive to brushing. rubbing. or scraping of the pile surface which may cause fuzzing and pile distortion. It is recommended that vacuums with suction action only be used on these styles. Carpet sweepers and electric brooms are useful for picking up crumbs and surface soil, but it's important to know that they will not clean deep. •Give Prompt attention to spots and spills for best results. •Use a spoon or dull knife to remove solid materials. •Blot up liquid spills with a white towel. •Never rub, scrub, or use a brush. This may cause damage to the carpet fibers. •Use a cleaning agent and procedure appropriate for the type of stain being removed. •Apply all cleaning agents to the cloth rather than directly to the stained area to avoid saturating the carpet when spot cleaning. Clean the fibers, not the backing. •Do not rush. Deep stains might require repeat cleanings because they can "wick" back up again after initial cleaning. •Work from the outside to the center of large stains. This prevents spreading. Many professional carpet cleaners are still using enzyme based and bio-enzyme based deodorizers for dealing with pet urine odor problems in carpeting. Most of these products contain multiple strains or types of enzymes or bacterial cultures that are designed to break down and digest the urine odors at the molecular level. Truth is, many of these products work very effectively at eliminating pet odors- when given the proper amount of time and the perfect environmental conditions. Therein lies one of the fundamental issues with using enzyme based deodorizers- they take a long time to work, anywhere from 4 to 24 hours. Often times, the use of an enzyme deodorizer requires a return trip to customers home or business. Not only that, none of the enzymes contained within these formulas are really designed to eliminate the stains caused by pet urine on carpets nearly as effectively as the oxidation option. The use of powder oxidation treatments has several big advantages over the use of enzyme deodorizers. First, it is faster. The release of the effervescent oxygen immediately triggers the chemical breakdown of urine into the basic components of nitrogen, oxygen and carbon dioxide. Second, it is more durable. Since you have to keep the living organisms alive which are producing the enzymes, you have to be able to control the environmental conditions-room temperature and pre-existing chemicals in the carpet just name a couple. Oxidation solutions are mixed and used on the spot are more durable and not as effected by environmental conditions. Third, the oxidation action is a stain removal action, making it mush more likely to effectively eliminate the yellow stains in the carpet caused by urine. Finally, and perhaps the most overlooked advantage of using oxidation is that the customer can see the vivacious, bubbling, effervescent mixture going right to work eliminating even the most stubborn urine stains with their eyes. An oxidizing stain and odor treatment like Oxi Clean will effectively deal with all three negative aspects of urine contamination- the lipid based sticky build-up of contamination, the negatively perceived odor, and the resulting stains. There are some basic guidelines that will make using powder oxidation treatments work more effectively. It is highly recommended that you use a subsurface extraction tool or wand when applying an oxidizing solution. If you do not have a subsurface extraction wand or spotting tool, make sure to take extra wet and dry passes with your wand to remove the solution after treatment. In addition, as a general rule, powder oxidation treatments should only be used on synthetic carpets. They are not recommended for wool or silk carpets. Since oxidation is designed to remove the staining discoloration, always pre-test the solution in an inconspicuous area of the carpet for colorfastness prior to application. Mix 1 teaspoon of mild laundry detergent (non-bleaching brands) with two cups of water. Stir the solution gently. Using a clean white cloth, dampen the fibers in the stained area with the detergent solution. •If necessary, use your fingertips to work the solution to the base of the stain. •Re-wet the stained carpet fibers with clear, lukewarm water. •Cover the area with an absorbent, white towel and apply pressure to blot. •Repeat the rinsing / blotting procedures until you are sure all traces of the detergent have been removed. •If the stains are removed, place white paper towels over the stained area. •Weight the towels with a heavy, color-fast object such as a plastic wastebasket with a weight inside. •Change the paper towels as stains wick up until the area dries. •If stains remain (unless they are from coffee, tea or urine) proceed to step 2. For coffee, tea and urine stains proceed directly to step 3. Note: Do not use on coffee, tea or urine stains. Mix 1 tablespoon of non-bleaching, non-sudsing household ammonia with 1 cup of lukewarm water. Apply this solution as outlined in Step 1, rinsing the area in the same manner. Note: Even if stains disappear after using the ammonia solution, it is necessary to use Step 3 - the vinegar solution - to neutralize the ammonia solution. Mix equal parts of white vinegar and water. Apply this solution as outlined in Step 1 and 2. Rinse and blot. Fold paper towels and place over the stained area. Weight towels with a heavy, colorfast object such as a plastic wastebasket with a weight inside. Continue to change paper towels until the area is almost dry. Gently brush pile to lift tufts. Allow carpet to completely dry before walking on carpet surface. Note: You must use Step 3 if you first used Step 2. It is important to neutralize the ammonia solution. We recommend professional cleaning every 18 months - 2 years or before the carpet becomes too unsightly. We recommend the hot water extraction system, which research indicates provides the best capability for cleaning. This system is commonly referred to as "steam cleaning". The process consists of pressure spraying a solution of water and detergent into the pile and recovering the water and soil with a powerful vacuum into a holding tank. This can be done from a truck-mounted unit outside the home with only the hose and sand brought inside, or where a truck-mounted unit cannot reach, by a portable, self-contained system brought in the home. If you're going to be using bonnets to scrub your carpeting, you'll need to attach the bonnet to the pad driver assembly that came with your floor buffer. Lean the machine back so it rests on its handle and attach the pad driver to the clutch on the bottom of the machine. If you're using a brush, you'll need to follow the same procedures. *Note: A carpet scrubbing brush will need to be broken in before using on carpeting. This can be accomplished by removing the center guard on the brush and running the machine with the brush attached on concrete. This will tip the bristles of the brush and remove any burrs that were created in the manufacturing process. Depending on what you'll be using for each particular job, you'll need to lean your machine back and either attach the brush, or the bonnet/pad driver assembly to the drive on the bottom of your buffer. Place the machine on the outskirts of the bonneting area. Most carpeted areas will not need to be scrubbed with a bonnet. Only those carpets that are extremely filthy will need this treatment. Heavy traffic areas are a good example of areas that will routinely need to be scrubbed. Most of the other areas will clean up just fine with a simple carpet extraction. 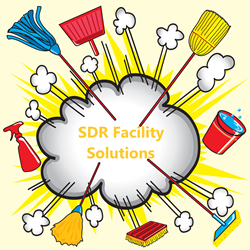 Remove all furniture and other obstacles that could be damaged or may impede your scrubbing path. Use a powerful vacuum to clean as much of the loose debris and dirt from the surface of the carpet as possible. Take your chosen bonnet scrubbing chemical and mix appropriately for a pump up chemical sprayer and to be used in the shampoo tank of your floor buffer. Fill your mop bucket or pail with clean water, and soak your bonnet. You never want to use a dry bonnet on your carpet, so make sure it is thoroughly soaked through. Set up and cordon off a small 10' x 10' area. Put on a pair of disposable shoe covers to protect the carpet from any dirt or debris that could be stuck to the bottom of your shoes. Spray down the area with the prepared solution in the pump up sprayer. Let the solution sit for a few minutes so it can work itself into the carpet fibers and loosen the bonds between the dirt and fibers. Move the buffer into position on the 10' x 10' area that you have set up. Uncoil the power cord and place it behind the path you plan on scrubbing across the carpet. Sling the power cord over your shoulder, so as you operate the buffer, you can control the cord as you go. Lower the handle and lock it into place so the handle rests comfortably in your stomach, just above your belt line. Keep your feet spread apart to create a strong solid base to help you keep your balance as you operate the machine. When starting the machine up, brace yourself, and be prepared for the machine to pull in one direction or the other. Depress the safety start up lever, and pull up on both of the handles to start the machine. Do not fight the machine, as this will only make your job tougher. Let the machine float as it scrubs. When you use slight pressure and push down on the handle, the machine will float to the left. When you raise the handle slightly, the machine will float to the right. You will always want to keep your body perpendicular to the machine, and only scrub in a 90° spectrum. Once you have hit above a 45° angle from where you started, you'll want to stop and come back in the other direction. It is a good idea to start scrubbing in the corner furthest away from your exit point. Overlapping passes will ensure that no portion of the carpet is ever missed. As you're scrubbing, you'll always want to make sure the bonnet is properly lubricated. That's why it is a great idea to have a pre-mixed solution in your shampoo tank, so as you're scrubbing, you can dispense that solution in needed areas. We sell a complete package that comes with the solution tank, buffer, and pad driver for the individual who is just starting. Our carpet scrubbing buffer with shampoo tank is the perfect start up package. The bonnets you're using will collect a lot of the dirt from the carpet, so they will need to be flipped over, since they can be used on 2 sides, and changed out frequently. You can also clean and wring them out in your mop bucket of clean water. When this water becomes dirty, simply dump out and refill with warm, clean water. When you're finished scrubbing the highly soiled areas, you'll want to go back over those areas with a machine like our non-heated carpet extractor. At this point you'll be extracting the soap, water and dirt that was just scrubbed free from the carpet fibers. The final step will be to actually fill the extractor with clean water and doing a simple rinse with the extractor. You'll just spray down clean water and then recover it again, removing as much dirt and detergent from the carpet as possible. This is very similar to a rinse cycle on your washing machine when you're doing laundry. If you leave the set up scrubbing area for any reason, you'll want to remove your disposable shoe covers. You don't want to track soap and water all over the other carpet areas throughout the business or residence. Upon re-entering the cleaned area place a new pair of protectors over your shoes. Set up several carpet dryers like our air moving fan, blowing in several differing directions. This will help to move as much air as possible and dry the carpets quickly. Rinse out all bonnets and let them sit in a warm water bath to loosen as much dirt as possible. They can even be laundered so they are clean for the next job. If you have an onsite washer that is even better. Rinse out the solution tank on your buffer and the recovery tank on your extractor, after dumping the recovered solution from the carpet. Remove all carpet drying air movers after the carpets have had several hours to dry. Replace all furniture and moved objects. If the carpets are still slightly damp, and furniture has to be moved back into place, you can use some wax paper to place down under the feet of the furniture.